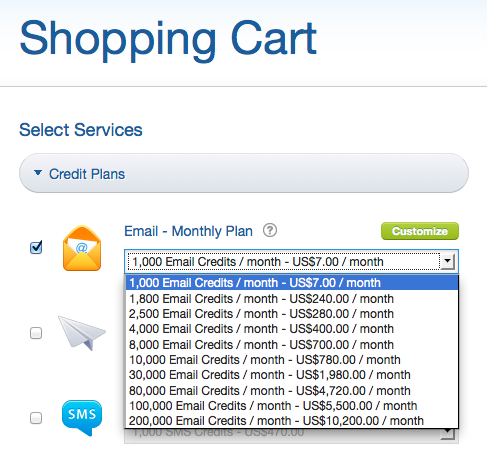 Now you can upgrade your credit plans, buy extra email or SMS credits and add any value added services to your subscription with our Shopping Cart. Move the cursor under your name at the top right corner of the screen, you will see [Plans and Billing]. 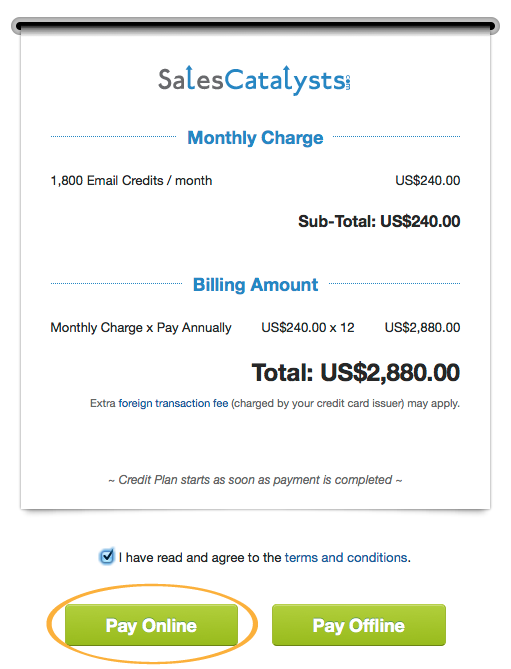 When you click it, you can see all your available credits and any other service subscription under [Overview]. 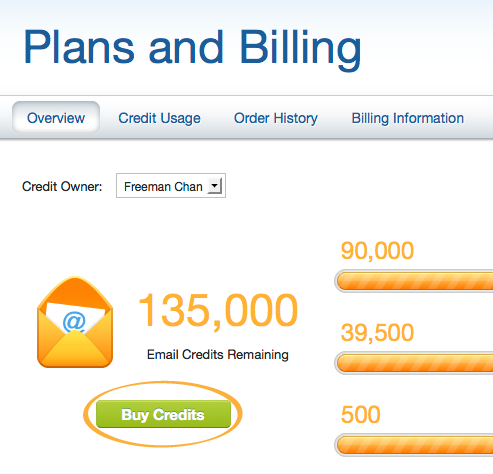 Click the [Buy Credits] button under any credit summary. You can also click [Shopping Cart] in the top right corner. Mark the checkbox of the plan type you want to order, then choose from any preset plans in the drop-down list. Plans, prices and currency shown in all pictures below are for illustration only, please refer to your real pages for actual offers. You can also customize your plan. Click the [Customize] button, enter your quantity and fee will be calculated. After selecting all the plans and items needed, click the [Checkout] button to proceed. If you want to change the billing currency, modify your selection from drop-down list on the top right corner of the shopping list. If you subscribe any recurring service plan, after [Checkout], you can choose to pay the recurring portion monthly, quarterly, or annually. We will debit your Paypal account automatically at the end of each payment cycle. If you choose [Auto Pay], you have to setup a Paypal account. You can pay manually by credit card or other offline payment methods. 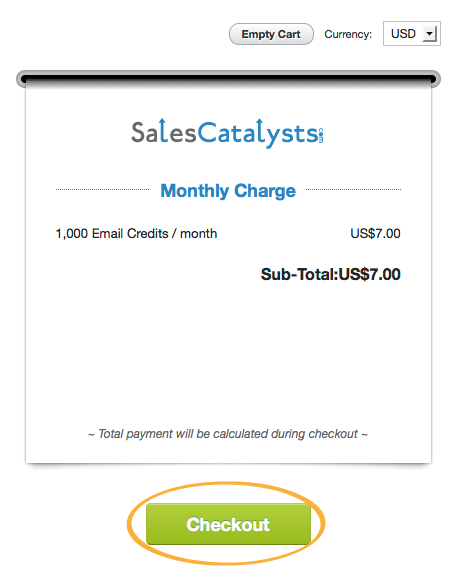 We will send you an invoice email with payment link 15 days before every payment cycle. 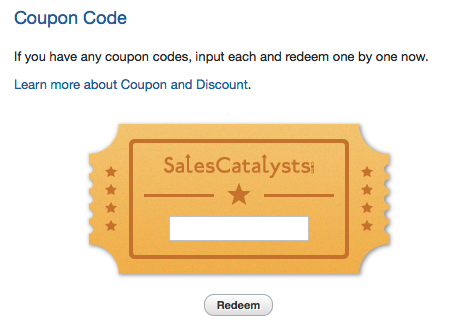 The use of coupon will be available soon, please pay attention to any upcoming announcements. By clicking the [Pay Online] button, you can pay with credit card or Paypal account. 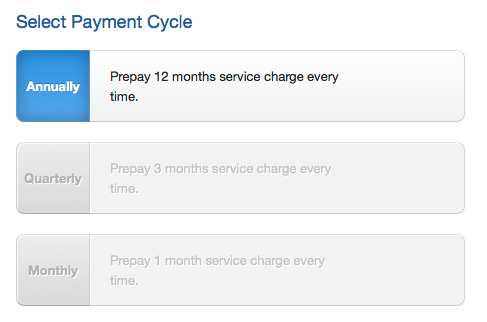 However, if you choose [Auto Payment] in [Payment Option], you can only pay with Paypal account. 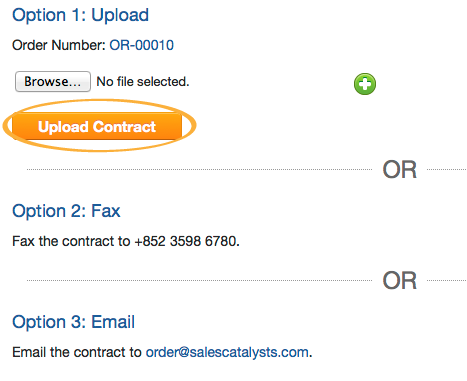 By clicking the [Pay Offline] button, you need to download a contract, sign and stamp on it, and then send it to us. Your order will only be activated after verification. Verify your billing information carefully. The information will be used for contract and invoice generation. Click [Download Contract] to download. Read the content, sign and stamp on specific places of the contract and the service agreement. Remember to sign and stamp on the service agreement as well which is the last page of the document. Your order will not be accepted if they are missing. Shorten our verification time by paying immediately after you place the order. To access our banking information, view Offline Payment Methods. Order created, but you have not completed the order by paying online or upload your signed contract (pay offline). You need to complete corresponding procedures within 7 days, otherwise your order will be rejected. We are verifying your uploaded contract. It normally takes less than 3 working days to complete. Pay attention to our emails for any supplementary information request. Your order is formally accepted and corresponding services / credits are activated. We rejected your order, it normally happens to offline orders without correct or full information (e.g. signatures, company stamp) or orders that do not complete within 7 days.